They came. They saw. They took (yet another) ‘first step’. Then the 110 world leaders who had attended the UN climate change conference in Copenhagen flew home again, leaving a trail of recriminations about their divide-and-conquer tactics – and a blame game over why ‘Hopenhagen’ had become ‘Flopenhagen’. Well, what did you expect? The problem with global climate negotiations is not simply one of short-term power politics, but is deeply ingrained in the flawed fabric of international climate negotiations. Copenhagen failed, but it is part of an ongoing process in which many of the key decisions – including the fate of potential new carbon markets – were postponed when it became clear that no deal was yet possible. This left heads of state clutching onto the Copenhagen Accord, a peculiar ‘no-deal deal’, while the outcome of up to four years of negotiations has been postponed until later this year. The Copenhagen Accord amounts to just two and a half pages of rather vacuous diplomatic ruminations. Its form is, perhaps, more expressive than its content. The cover page states merely that the signatories to the UN climate change convention will ‘take note of’ the accord – the kind of diplomatic language usually reserved for praise of the host country’s catering. An appendix containing two blank tables where emissions targets and other ‘mitigation’ actions remain to be listed is tacked onto the back, with unintended irony. A closer look reveals no progress on emissions targets and finance, the main sticking points in most international climate negotiations. The accord ‘recognises’ the need to restrict global climate change to two degrees Celcius, but with no means or obligation to enforce this goal, this is little more than lip service. Adding up what has actually been pledged, meanwhile, reveals a very different picture. Even the World Wildlife Fund, which tends to assume (despite mounting evidence to the contrary) that market-driven international climate policies work, calculates that the 15 to 19 per cent reductions that industrialised countries have so far promised by 2020 would amount to an increase in greenhouse gas emissions of between 4 and 10 per cent over 1990 levels, once a series of loopholes are taken into account. The paucity of the reductions on offer is further disguised by long-term pledges – an 80 per cent reduction for industrialised countries by 2050 (compared to 1990 levels) is an oft-cited figure. 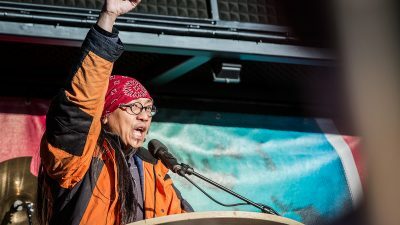 Yet as Martin Khor, director of the South Centre, an intergovernmental think tank of developing countries, points out, this would allow developed countries such as the US to continue polluting at two to five times the rate of their Southern counterparts. The headline pledges of billions in new climate financing prove to be equally illusory. The Copenhagen Accord promises a US$10 billion per year new climate change fund will be set up between 2010 and 2012, growing to US$100 billion per year by 2020. But the entire US$10 billion repackages existing aid commitments, the World Development Movement has found, with 50 per cent promised in the form of loans that would increase unjust debts. In the longer term, a significant proportion of what counts for the US$100 billion could include carbon market revenues – hardly the same as public finance as reparations for a ‘climate debt’ (see Tim Jones, Red Pepper Dec/Jan). Significant questions remain, too, regarding who would control such funds, with the US and Japan leading a charge to channel a significant proportion of this money through the World Bank. As the bank’s largest shareholders, they could then exert considerable influence as to how such money was spent. No sooner had the non-deal been struck than the blame game started. Ed Miliband, the UK’s climate change secretary, claimed in the Guardian that China had ‘hijacked’ the conference, while Gordon Brown villainised a handful of ‘intransigent’ countries, including Bolivia, Venezuela and Sudan, which chaired the G77 group of developing countries. Or, to put it another way, a series of countries refused to sign up to an accord that they considered a disaster for the climate and for any hope of achieving equity. Frustration at the content of the accord was compounded by the heavy-handed interventions of the Danish presidency, which tore up the UN’s bureaucratic rulebook in attempting to engineer a ‘consensus’ where none existed. As the ‘official’ talks were driven into the buffers, the Danish government convened a meeting of 26 leaders in parallel with the official talks, overriding the other 167 parties to the convention. This was the culmination of a series of informal meetings, hosted by the Danes, which were similar in form to the ‘mini-ministerials’ and ‘green rooms’ used by the WTO to set the agenda for global trade talks. Such meetings are typically coordinated by a grouping of rich, industrialised countries, with the participation of a regionally balanced but unrepresentative selection of developing nations. Copenhagen was no different. While there was significant dissent – led by the ALBA grouping of nine Latin American and Caribbean states, which decried a process that ‘violated all the principles of multilateralism and the United Nations charter’ – efforts are now underway to harden the legal status of the accord. As UK climate change secretary Ed Miliband put it at the close of the Copenhagen talks, countries are being encouraged to sign on ‘so the money can start flowing’, a scarcely-veiled bribe. It would be short-sighted to lay the blame for divisions solely at the door of the former colonial powers, however. While the failures of Copenhagen rest, ultimately, in the failure of industrialised countries to take responsibility for tackling climate change, the Copenhagen Accord also gained traction because of the support of the so-called BASIC countries: Brazil, South Africa, India and China. This reaffirms the risks of relying on political elites to secure a just framework for global climate politics. As Praful Bidwai, journalist and author of An India That Can Say Yes, puts it, Copenhagen revealed ‘a gaping divide between India’s underprivileged and elite’. The latter consented to an ineffective framework that can feed their burgeoning consumption of luxury goods, while sacrificing the type of effective, equitable deal that would most help the country’s rural poor, who stand to be battered hardest by the effects of climate change. To tackle this divide requires a more fundamental rethink in the basic framework of the terms on which global climate negotiations are conducted. Some of the stumbling blocks are intrinsic to the UN negotiating process itself, whose intergovernmental bias pits one country or bloc against another, with each defending a conception of ‘national interest’ that reflects elite class interests above the needs of the whole population. This results in the exclusion of indigenous peoples and forest communities from formal participation in discussions, even as negotiators seek to parcel out and commodify their lands in the form of ‘forest carbon’. The issue is not simply one of who negotiates or has access, however, but of how those discussions are framed and tackled. In this regard, carbon trading remains the central means for implementing emissions targets, as well as playing an increasing role in displacing sources of public finance for tackling climate change. The Copenhagen Accord makes little mention of carbon trading, but the market continues to develop apace. On 6 January, the UN’s clean development mechanism (CDM) registered its 2,000th carbon offset project, with the scheme still growing rapidly. The CDM is a scheme to develop ’emissions-saving projects’, which supposedly compensate for continued pollution in industrialised countries in the North. In practice, the scheme shifts the responsibility for reducing emissions from North to South, with many of the projects exacerbating local social and environmental conflicts in their host locations. 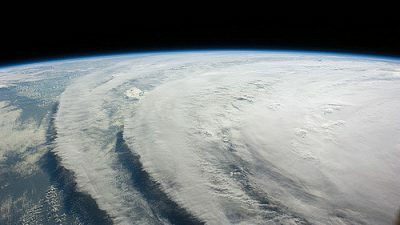 In this respect, Copenhagen simply saw the postponement of several decisions that remain on the cards at subsequent UN climate conferences, in Bonn (June), Mexico (November) and subsequently in South Africa in 2011. A range of geekily-technical possibilities remain on the table, but what they boil down to is the extension of carbon offsetting on a global scale. There are three main drivers underlying these proposals. First, they would help wealthy, industrialised countries avoid having to make emissions reductions domestically – although the paucity of ambition in the Copenhagen Accord already sees to this task quite effectively. Second, they represent a means to shift responsibility for taking action to tackle climate change onto Southern countries. And third, from the point of view of financial speculators, new carbon markets increase the scope for financial speculation. A broad range of new credits would provide the basis for new ‘carbon derivatives’ – similar to the structures that brought the derivatives market to its knees during the recent financial crisis. It is dangerous for the same reason: carbon markets sell a product that has no tangible underlying asset – fertile conditions for the creation of a new ‘bubble’. Traders don’t know exactly what they are selling. It becomes increasingly meaningless to talk about emissions reductions, since what is ‘reduced’ on paper is so far removed from any measurable change. Speculation becomes an end in itself. Meanwhile, emissions continue to rise. Tackling carbon trading head on will remain crucial in climate debates – where the challenge remains to move beyond a global framework that translates the climate crisis into the language of neoliberal economics. Shifting ever larger sums through carbon markets is ultimately a means for stretching out the failed economic and industrial models that have helped to create the climate problem in the first case. Away from Copenhagen’s faceless Bella conference centre, we need not follow this course. 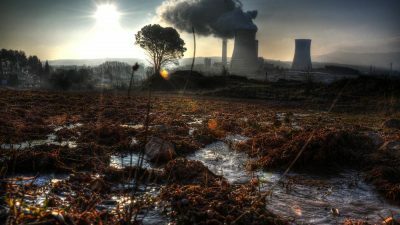 From ending fossil fuel subsidies to new industrial regulations, there are numerous steps that could mark out a different path to tackling climate change, from local to national and international levels. Policy alone will not be enough, though. We need to rethink energy production, industry and agriculture in ways that promote and rediscover locally-adapted knowledge. And to achieve this, there are no short cuts around political organising – since the struggle against climate change is part of a larger fight for a more just, democratic and equal world. Specifically Morales proposed a global referendum, asking the public whether the vast sums spent on the military should be invested instead in conserving the planet. He is also convening an international peoples’ conference on climate change in April 2010 in Bolivia to put forward an alternative popular programme.